Whether you grow your own herbs or buy fresh ones from your local grocery store, learning how to dry your own herbs can really spice up your meals or add to DIY projects (like this dream pillow) and it’s easy to do. It just takes a little time and patience to find the best method for your needs. 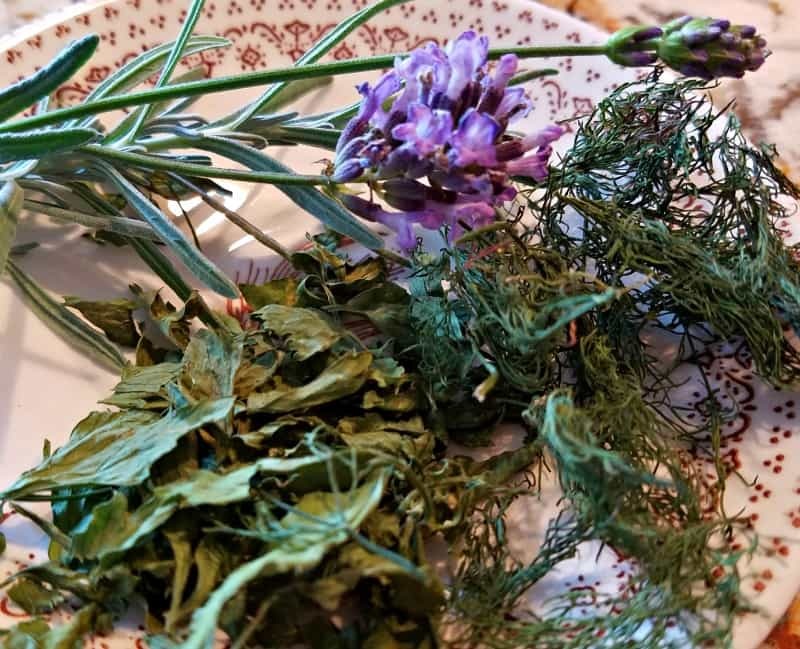 Here are four great ways to dry herbs at home. 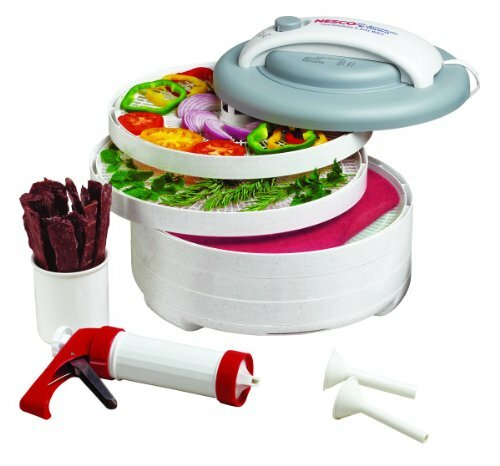 Nesco FD-61WHC Snackmaster Express Food Dehydrator All-In-One Kit with Jerky Gun This is my favorite method for drying herbs from the garden. Drying herbs in a dehydrator is an easy and effective way to dry them while preserving both flavor and quality. Lay the leaves on the trays but keep them in single layers. 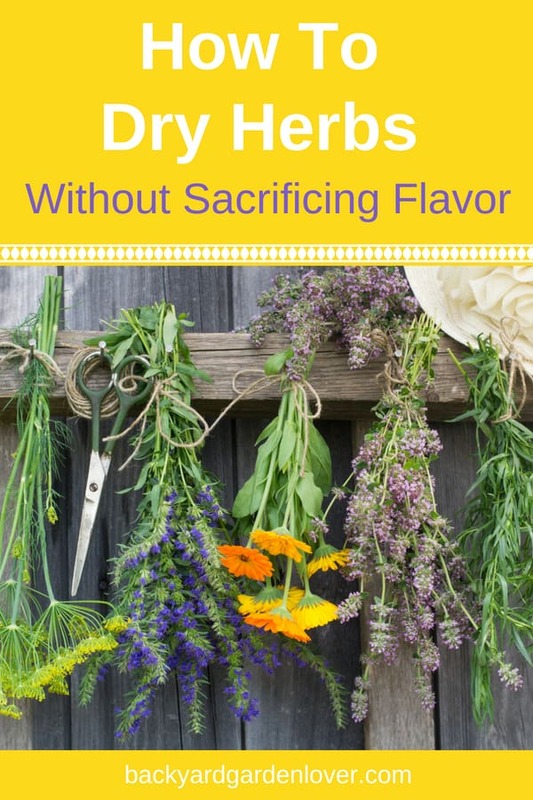 Place the herbs that dry the fastest near the top so you can remove them easier without disturbing the ones that are still drying. If you’re drying more than one herb at a time, you may want to label each tray so you don’t get your herbs mixed up. Once dry, be sure to store your herbs in an airtight container. Place the container inside a cabinet or other dark space for storage for the best results. Always allow the herbs to cool down before storing and remember that dried herbs are stronger than fresh ones, so adjust your recipes accordingly. Herb Drying Rack Drying herbs on a drying rack is easy and very effective but it usually takes a few days before the leaves are completely dry. However, this method will ensure the best quality and taste. Simply space the leaves on the drying rack in a single layer and place the rack in a well ventilated area out of direct sunlight. The goal is to let the leaves dry out naturally and separating them on the rack will speed up drying time and prevent the leaves from molding before they dry. Turn the leaves often to make sure all sides are drying evenly. Strip the leaves off the stalks of the herb and place them single layer on a cooking tray and put them in the oven. Set the oven to the lowest heat setting and bake for about an hour. Do not try to dry any faster or you’ll sacrifice quality. In fact, you may need to leave the door ajar just a bit to keep the temperature down and to allow moisture to escape. Check occasionally to prevent over-drying and turn the leaves over after about thirty minutes. 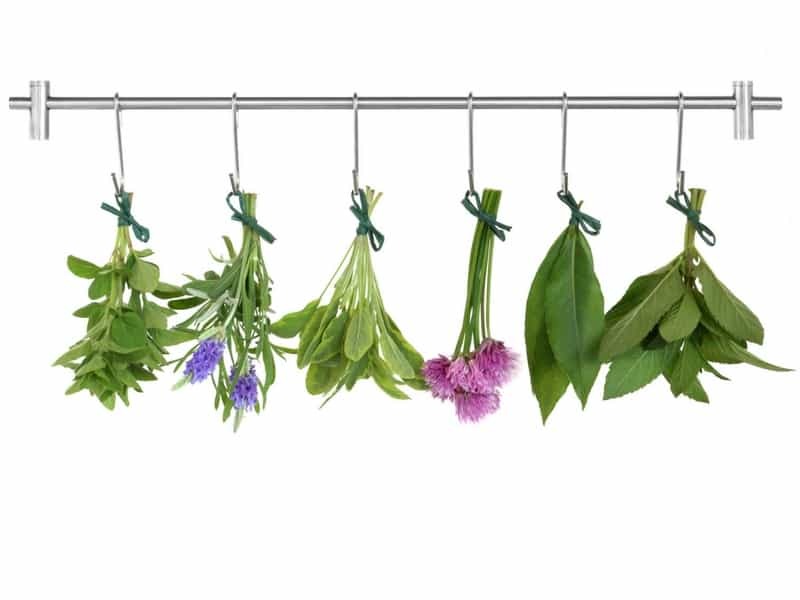 If you need to dry them longer, check the herbs about every 5 minutes until completely dry. Allow the leaves to cool before handling. Related: you can also make herbed salts. They are perfect to add a bit of flavor to your food, and make really thoughtful gifts. If you only use them once in awhile or when you need to dry herbs quickly for a meal, don’t worry. This is when drying herbs in a microwave is a good method to use. It’s fast and easy. Simply, place the leaves between two layers of paper towels on a microwaveable tray and microwave them for one minute on high. If they are not completely dry, continue drying for 30 seconds at a time until the process is complete. If at any time you smell the herbs, stop heating immediately. 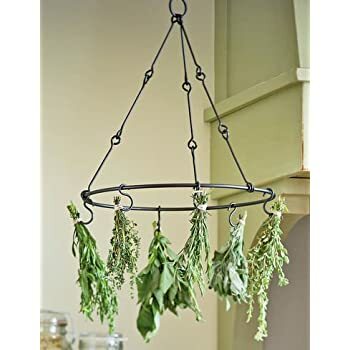 Now you’re ready to dry your own herbs and enjoy delicious flavors all year long. But did you know you can also freeze herbs? Learn how to freeze fresh produce here. Have you tried drying with a convection oven? I haven’t tried personally, but I’m sure you could do it. Set it at 150 or 200 degrees and check it often.